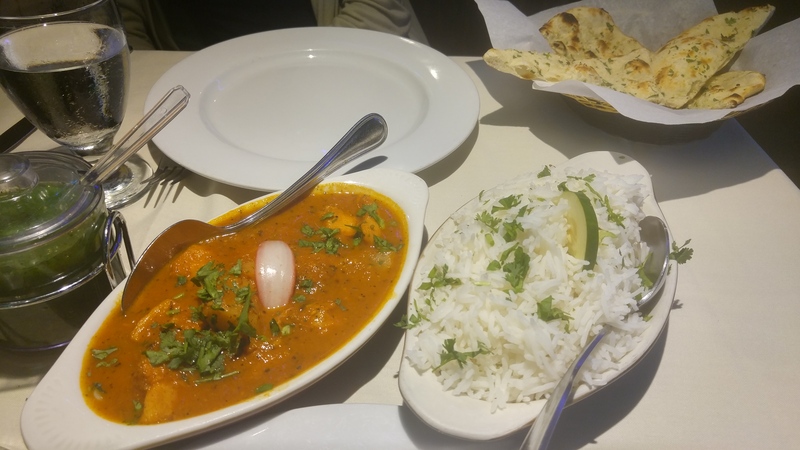 While Bombay Tandoori might not be the best Indian food around, it’s a nice place to have a dinner date while enjoying some decent curry. When it comes to Indian food, unless in Hollywood, you’re not going to get a fancy dining experience. Here you’ll get lap napkins, LED lights, and a comfortable dining setting. Located next to a Days Inn, the parking isn’t plentiful but it’s free. Tandoori chicken and Vindaloo chicken were ordered with a side of rice and garl ic naan. I ordered the Vindaloo specifically because South Park had an episode called Grounded Vindaloop, where Butters thinks he’s living in a virtual reality. The sauce was decent and the chicken was good, but it just didn’t hit me in the gut like I wanted it to. 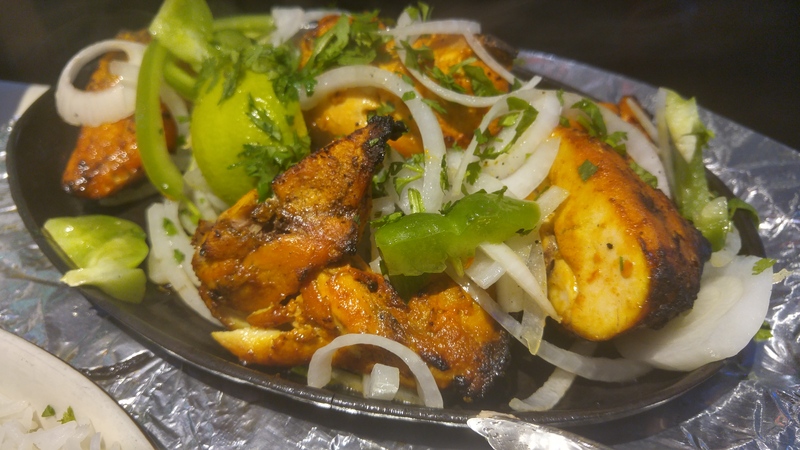 The Tandoori chicken was the saving grace of the meal. It was charred, marinated, and juicy. They also provide lunch buffets, which is the way to go in my opinion.